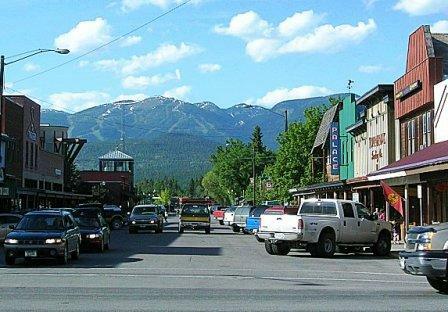 Pictured above: Downtown scene of Whitefish, Montana with mountains in background. Photo courtesy of Wikipedia. We apologize to everyone who had trouble following the links in last week&apos;s newsletter. Short version of long story: There are some very bad people on the Internet, and last week a few of them tried to overwhelm Topretirements so it could not function. Since the attack, a motive for which seems to be lacking, we have worked hard with our server hosts to keep them out. We are also sending the newsletter out in smaller batches to help speed up the site. We appreciate your loyalty and patience. Here is a link to last week&apos;s newsletter: "Where is the Best Place to Retire". This article started when a member wrote to tell us how disappointed she was in Maryville, TN. The next thing you know, she wrote a beautiful article explaining exactly what she and her husband are looking for in a community - and how they are going about finding it. It&apos;s a very cool story. Click on a state to see over 570 towns plus a list of 1,035 active adult communities. Whitefish is truly one of the most beautiful spots on earth. Not only that, but it has just about every kind of outdoor recreation you can think of - right outside your front door. Growth is always a problem in a place this nice, but the recession has helped calm that down. Even if you don&apos;t move here, come visit. Aon conducted a poll on European retirements. The results are fascinating. For example, can you guess which countries have the highest percentage of retirees who want to retire somewhere else (and which ones have the highest percentage who plan to stay)? While on the international kick, we also found a list of the top 10 places to retire in Mexico. It takes someone pretty familiar with Florida to guess where Fort Walton Beach is. So it is a surprise to many to learn that FWB is on the northwest coast of Florida, almost in Alabama. Lately the town has been buzzing because of the oil spill, which thank goodness has been stopped. Fort Walton Beach is a low key place to live with 24 miles of quiet beaches for swimming, sunning,and fishing. It is also close to 2 airforce bases, which is why it is popular with military retirees. 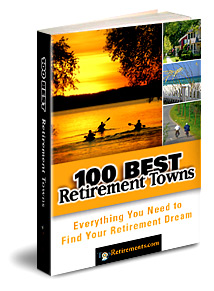 Three of the first 150 people to "Like" our Facebook page will receive a free copy of our 100 Best Retirement Towns eBook. Win your copy!